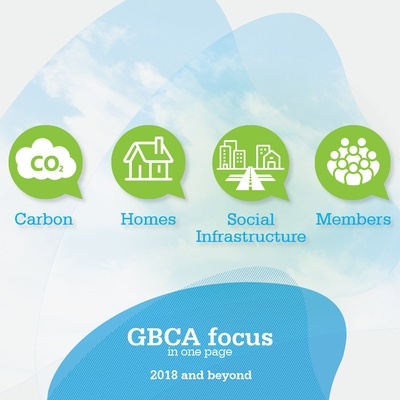 The Green Building Council of Australia (GBCA) is committed to developing buildings, cities and communities that are healthy, livable, productive, resilient and sustainable. Established in 2002, the Green Building Council of Australia is the nation’s authority on sustainable buildings, communities and cities. Our vision is to create healthy, resilient and positive places for people. Our purpose is to lead the sustainable transformation of Australia’s built environment. We rate the sustainability of buildings and communities through Australia’s only national, voluntary, holistic rating system – Green Star. We educate industry and government practitioners and decision-makers, and promote green building programs, technologies, design practices and operations. We advocate policies and programs that support our vision and purpose. The GBCA represents 600-plus individual companies with a collective annual turnover of more than $40 billion. Our membership reflects the diversity of Australian business with over 500 small-to-medium enterprises through to 75 companies with annual turnover of more than $100 million and 24 companies now listed in the ASX200, with a combined market capitalisation of more than $620 billion. Members include major developers, professional services firms, banks, superannuation funds, product manufacturers, retailers and suppliers. We also have 44 local government, 26 state government departments and land organisations, and 18 university members. GBCA company members alone employ more than 50,000 staff across Australia. Our professional development program boasts over 1,200 people advancing their careers and building their skills through their membership with the GBCA. Our industry is responding to a number of forces including increased investor and shareholder expectations, social licence to operate, sustainable development goals, all with the aim of transitioning to a low carbon future. 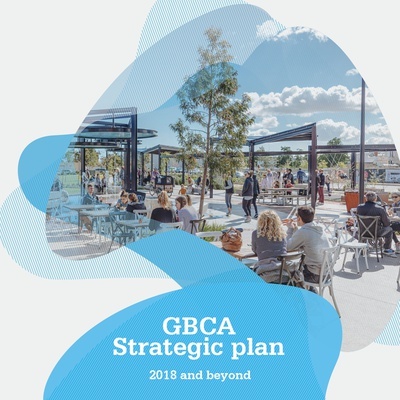 With this in mind, the GBCA has reset our strategic direction for the next few years, so that we may continue to lead the sustainable transformation of Australia’s built environment. 1. Carbon: We believe demonstrating a commitment to net zero emissions will become a competitive advantage for industry leaders, which is why we’ve set an ambitious target: net zero new buildings by 2030 and existing buildings by 2050. Our Carbon Positive Roadmap charts the course – now we need industry, government and the community to work with us. 2. Homes: As the residential sector is responsible for 57 per cent of our built environment emissions, Australia needs a clear standard for housing. We have begun working with our new Future Homes Champions to develop and deliver that standard. 3. Social Infrastructure: Almost half of Australia’s total greenhouse gas emissions come from infrastructure. Some of that infrastructure – such as transport hubs and hospitals, sporting facilities and schools – is within Green Star’s influence, and we will be pushing governments to increase their adoption of Green Star and other GBCA standards. 4. Members: Our members are at the centre of our mission, and we will continue to look for new ways to boost membership satisfaction, retention and growth. Download high-level overview Strategic plan. Who are the GBCA Fellows? Australia's sustainable building industry would not be as advanced and successful as it is today without the dedicated and passionate contributions of many leading members of our industry.